Frans Masereel was the greatest woodcut artist of our time. A pacifist in World War I, he tried to make his art accessible to the ordinary man. His works were banned by the Nazis and widely distributed in Communist countries. But he rejected "political" art and party affiliation, condemning all enslavements, oppression, war and violence, injustice, and the power of money. We present here some of his many works and witnesses. New York: Schocken Books, 1988.
a division of Random House, Inc.
Exhibition at the National Trades Union Museum, Amsterdam, October, 1997. Includes biographical timeline, introduction, and several of his early woodcuts and images. Frans Masereel by Roger Avermaete, bibliography and catalogue by Pierre Vorms and Hanns-Conon von der Gabelentz, Copyright 1976 by Fonds Mercator S.A., published in the USA in 1977 by Rizzoli International Publications, Inc., 712 Fifth Avenue, New York 10019, ISBN 0-8478-0034-2. Selection of plates, including drawings, watercolors, illustrations, linotypes. Large format, authoritative volume. Unreal City : Urban experience in modern European literature and art, edited by Edward Timms and David Kelley, Copyright 1985 by Manchester University Press, New York: St. Martin's Press, 175 Fifth Ave., New York, N.Y. 10010, ISBN 0-312-83348-2, NX542.U57, 1985, 700'.94, 85-2209. Includes bibliography, index, illustrations. Fifteen chapters originally delivered as lectures in Cambridge, England, during 1983-4. 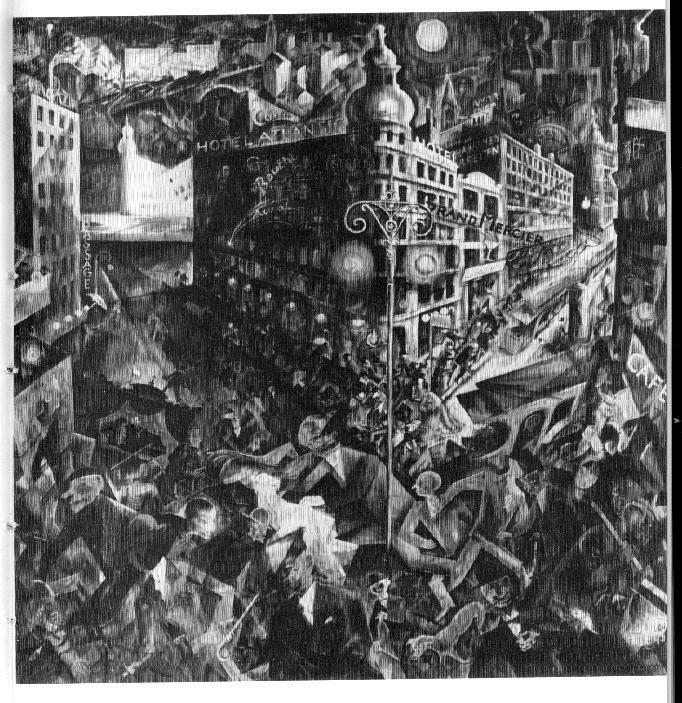 Does not mention Masereel, but provides context for his work.